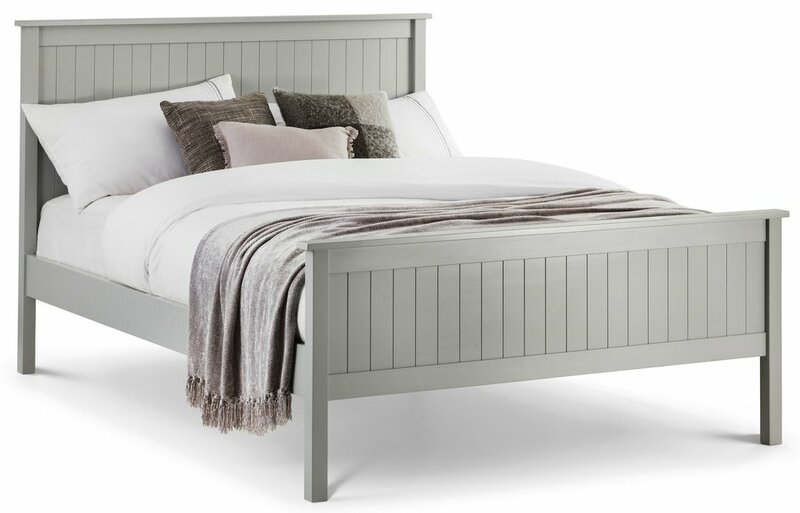 Elegant double bed frame with a fashionable dove grey smooth lacquer finish. 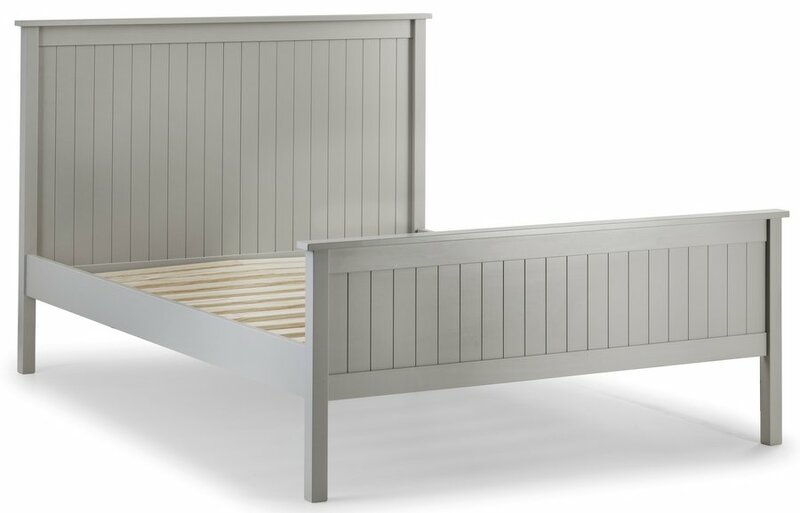 Choose the bed frame only or with the Deluxe, Elite or Memory pocket mattresses. 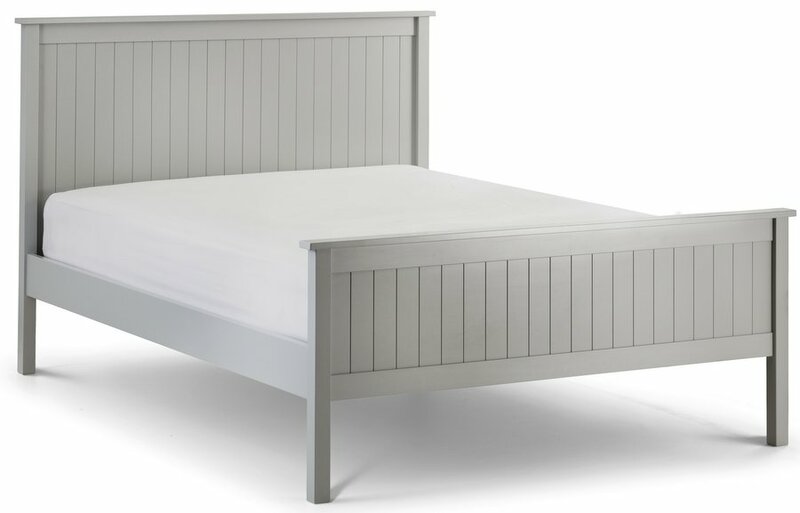 Deluxe mattress: A stitch quilted, oyster damask ticking mattress with a semi orthopaedic comfort level. 13.5 gauge bonnell spring unit. Rod edge support, 900 gsm spring insulator pad. 600 gsm polyester filling. Quilted border with air vents. Made in the UK. The New England style works in both modern and traditional home interiors. Constructed from solid pine and MDF. 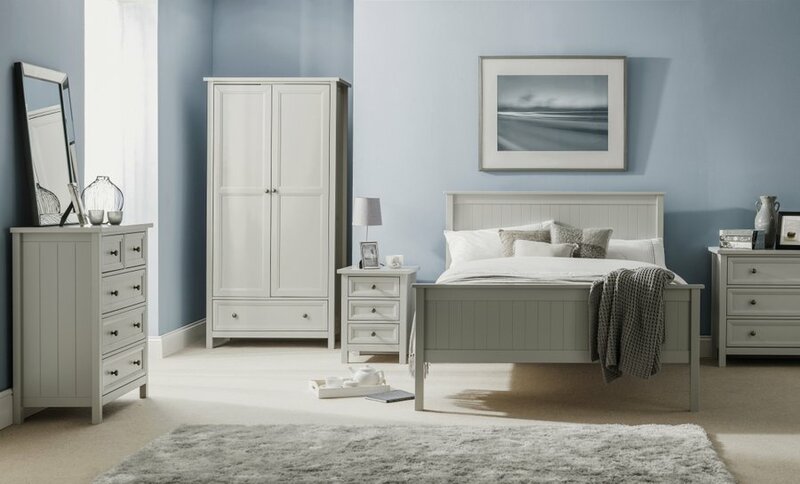 Part of our collection of grey bedroom furniture.